South Africa’s southern coast is a wind battered land. 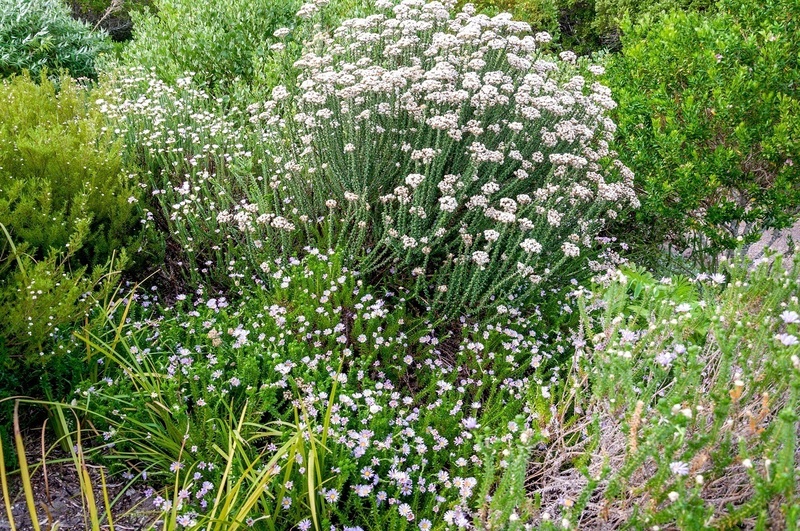 Low, scrubby bushes (fynboos) with small leaves dot the coastal land of the Grootbos Private Nature Reserve. Hearty milkwood trees, some growing for over 1,000 years, provide isolated cover. From a distance, this is a barren land. 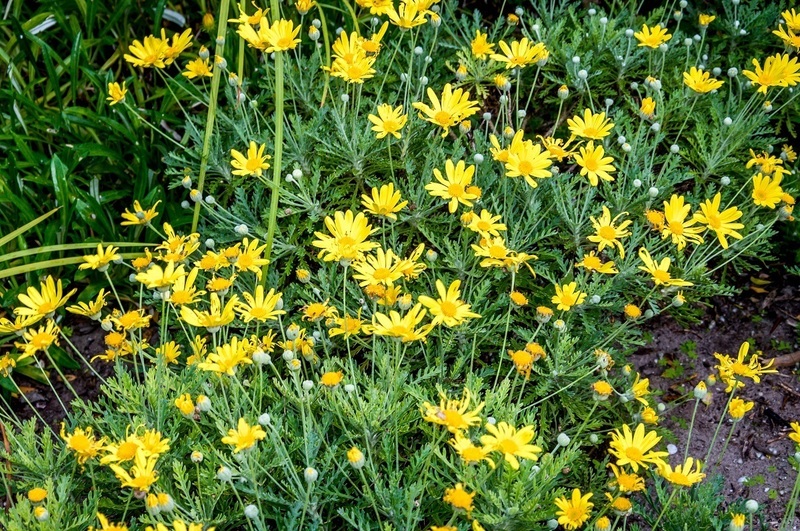 But up close, the hillsides are exploding with plant and animal life. Over 700 species of plants exist here, and six of them are unknown to exist anywhere else in the world. And, within the Grootbos Reserve, an oasis of luxury accommodation welcomes visitors in harmony with nature: The Grootbos Garden Lodge. Initially, our main interest in Grootbos was the opportunity to see the Marine Big 5. More specifically, we wanted to go scuba diving with great white sharks. Ever since we started planning this trip, the great whites were on the top of our South Africa “to do” list (after a safari in Kruger). It’s safe to say we’ve been looking forward to this since we learned to for years. If you live in South Africa, maybe you’re used to the weather. Our arrival at the Grootbos Private Nature Reserve under an unusual double rainbow gave hints of what was to come. We’re from the East Coast of the United States and the only thing we can compare it to is a hurricane. The storm was like someone took a small river and started dumping it on the Grootbos Reserve with all the power of a jet engine. The staff nonchalantly said it was just some wind coming up from Antarctica. Antarctica? The wind howled and rattled the windows. In the morning, we found the heavy deck furniture tossed around like pieces of foam, but no damage was done. And we slept soundly in our little Garden Lodge cocoon. But for our entire trip, the seas were too rough and there would be no shark diving for us. So, we changed plans. If you can’t enjoy the outdoors because of the weather, why not enjoy life inside? We found wine tasting along the Hermanus wine route to be the next best thing to a day of shark diving. The sommelier at the Grootbos Garden Lodge helped us identify wineries to visit and the day was a success! Check current prices at the Grootbos Private Nature Reserve Garden Lodge here. The Restaurant: The Garden Restaurant at Grootbos offers a remarkable five-course dining adventure on a nightly basis. The chef took us on a culinary journey, each course paired with South African wine (many from wineries close to the reserve). In the morning, the Garden Restaurant serves an expansive breakfast buffet and dishes cooked to order. 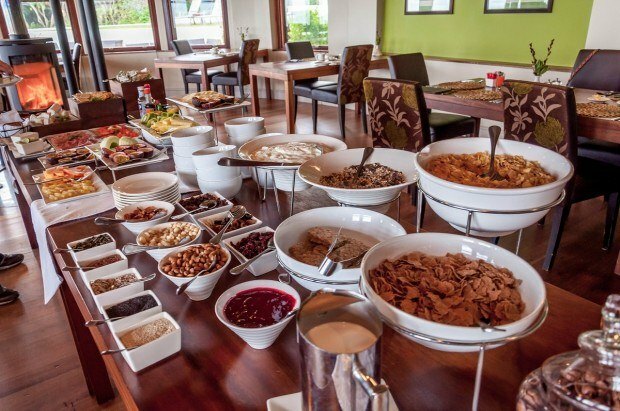 You won’t go hungry at Grootbos. The Concierge: The front desk at the Grootbos Garden Lodge is staffed 24-hours per day. 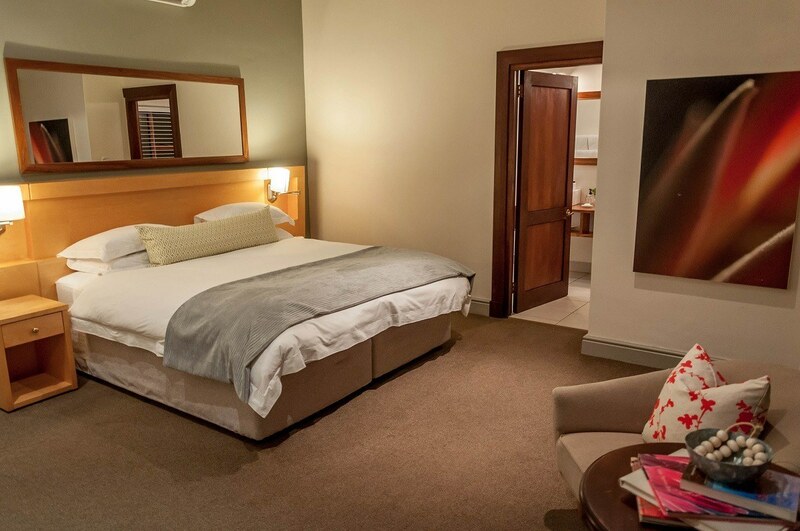 The desk staff is extremely helpful and can assist with any services you might need such as planning a day in the wine region or shark diving. The Spa and Recreational Facilities: There is a beautiful pool looking out on the Grootbos Private Nature Reserve and the Atlantic Ocean beyond. Spa treatments can be arranged on-site. 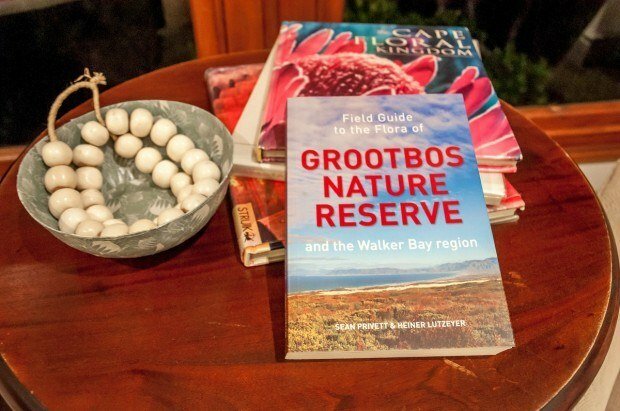 Nature guides conduct walks of the Grootbos Reserve, or you can go it alone with one of the handy self-guided walking maps. 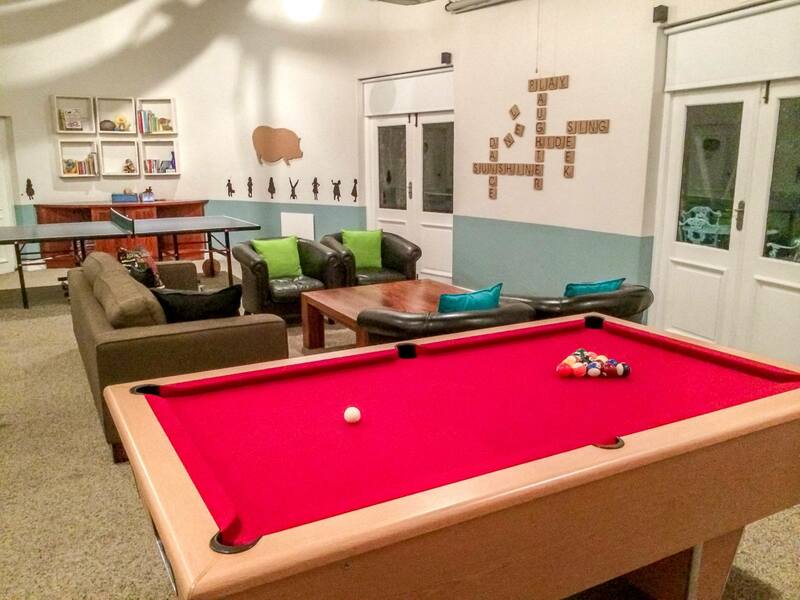 The Garden Lodge at Grootbos also has a nice game room for rainy days or evenings when you want to socialize with other guests. 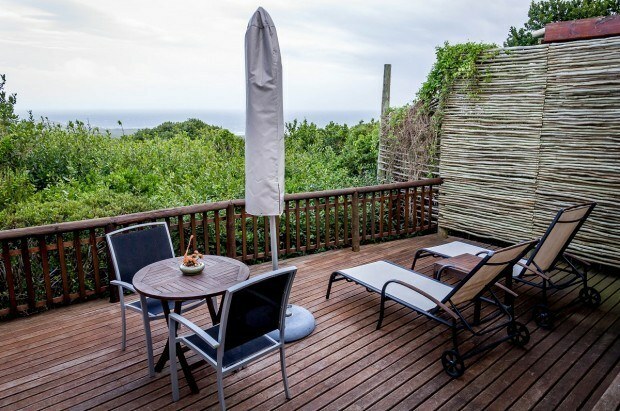 The Rooms: We stayed in one of the massive Luxury Suites at the Grootbos Garden Lodge. The main room of the suite had two large couch and chairs for lounging, a large TV, and a fireplace for the cold night. The living room opened onto a private wooden deck with views of the Milkwood Forest, the fynbos vegetation and the Atlantic Ocean. The bedroom was connected to the main living room via a walk-in closet and vanity room. The bedroom had a large window to look out at the sea and a king sized bed, which was heavenly. The WiFi: The guest rooms at Grootbos have wifi. The Bathroom: The bathroom was located off the bedroom and had a large, stand-up shower and a soaker tub by the window. 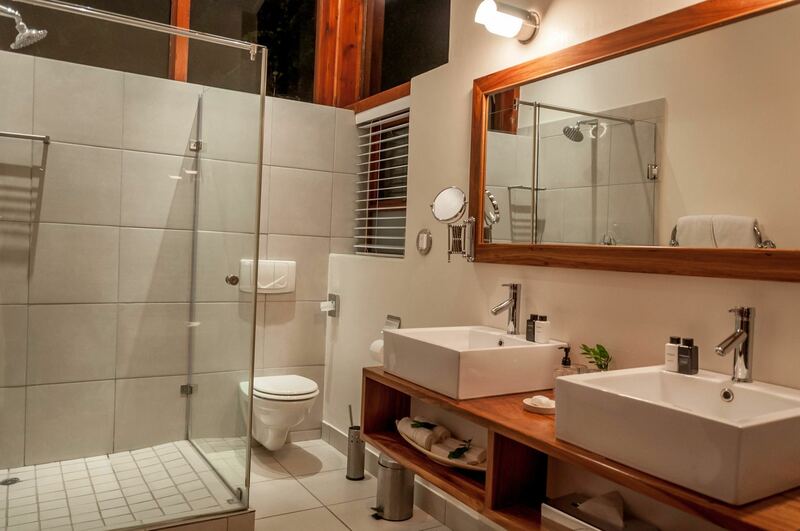 The bathroom also featured heated floors, which we were particularly grateful for on a cool winter evening. The Amenities: Grootbos features amenities from Charlotte Rhys. 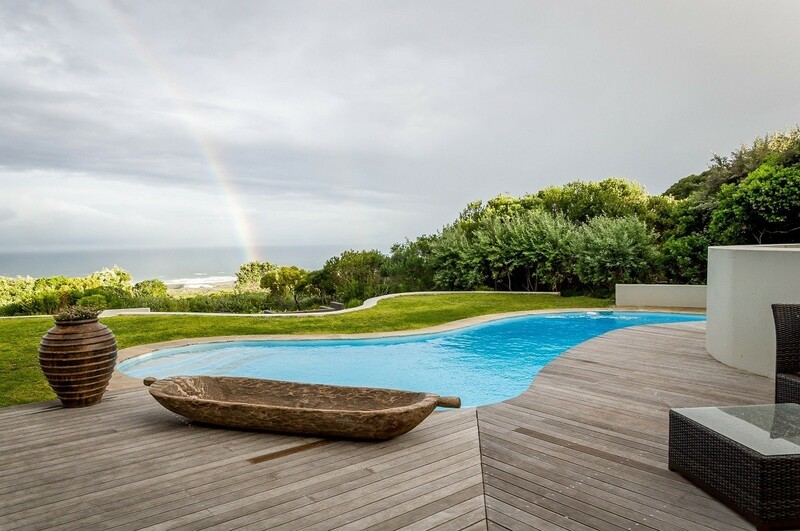 The Location: The Grootbos Private Nature Reserve is located on Walker Bay in the Western Cape. The Grootbos Reserve is 8km north of Gansbaai and 36km south of Hermanus. It is situated about 2km inland from the coast, but on a high hill with stunning views of Walker Bay. 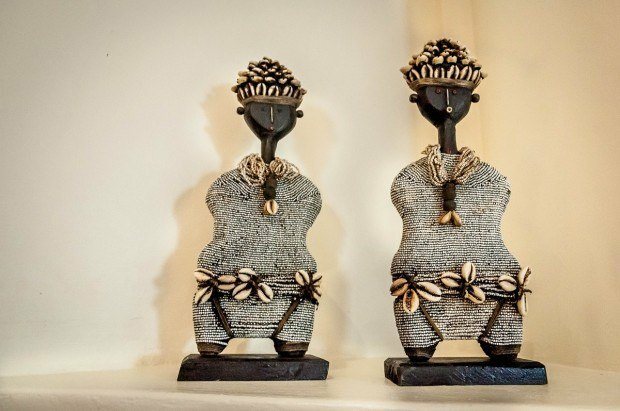 The Transportation: While some travel and tourist agencies can arrange for shuttles or private transfers to Grootbos, we recommend renting a car. 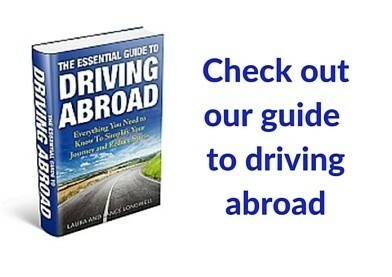 The Western Cape region is easy to navigate and having a car allows from more flexibility. The Airport Transfer: The Cape Town International Airport (CPT) is located 140km from the Grootbos Private Nature Reserve. We found travel times to be just over 2 hours (2:15) from the Garden Lodge to the airport. The primary purpose of our visit to the Walker Bay and Hermanus area was to go shark diving. Since that didn’t happen due to the storm, we were worried we’d be disappointed, but we need not have been concerned. 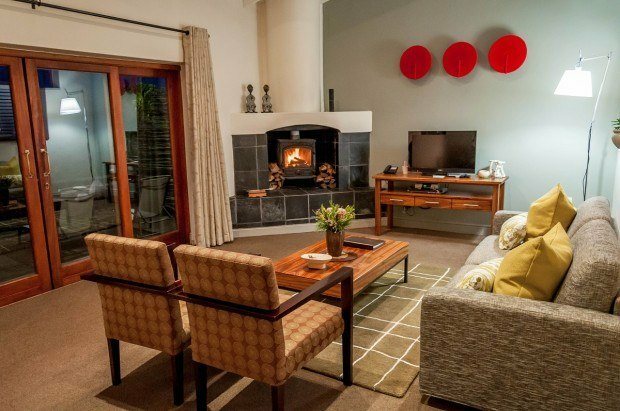 We were able to fill our time reading by the fire in our luxury suite and visiting amazing wineries near Hermanus. We can imagine no better place to be during a storm from Antarctica! We were the guests of the Grootbos Foundation and the Grootbos Private Nature Reserve. As always, all views are our own. 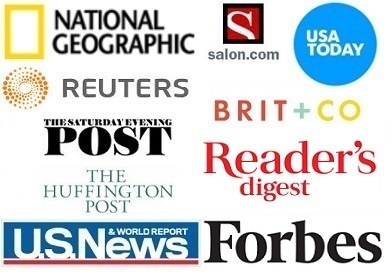 Note: Some links may be affiliate links, which means Travel Addicts may earn a few pennies if you buy something – all at no additional cost to you. 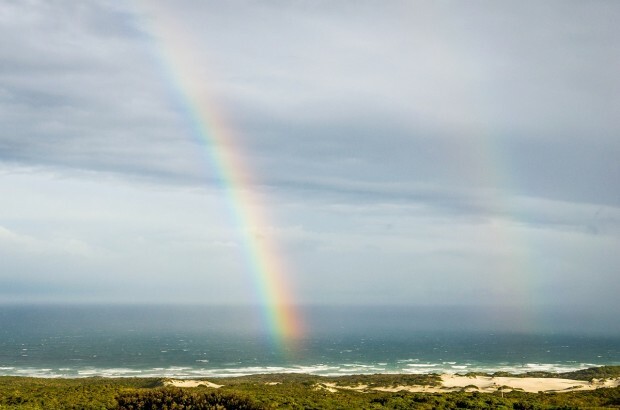 What do you think about Finding Sanctuary During a Storm at the Grootbos Private Nature Reserve? It was a crazy storm Tandy. And the whole idea of a storm coming from Antarctica was completely alien to us. Despite that, we loved our time in South Africa and are very anxious to visit again soon! We stayed at Hotel Gault in Montreal one May. Heated bathroom floors were amazing. That is a great luxury amenity. It really is. 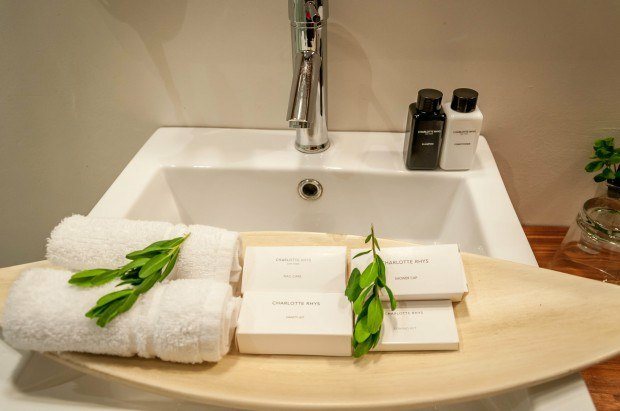 Details like that make a great stay truly excellent. Amazing place, despite the frigid winds from Antarctica. For a place that nice, I’d have no problem dropping $400 a night! It is stunning. We hope to go back some time under sunnier skies.